Two popular magazine loaders get put to the test. Both the Butler Creek's UpLULA (l.) and HKS GL-940 made short, simple work of loading a 17-round magazine. I'VE BEEN SHOOTING PISTOLS MY ENTIRE adult life. All the years I've spent on the range have helped me become a pretty decent shooter and a blazing-fast magazine loader. I must admit that my beloved 1911s are a whole lot easier to load than any of the high-capacity pistols, but loading even those capacious mags comes pretty easy to just about any old range rat. Like most seasoned shooters, I never gave a second thought to buying a magazine loader. But watching my wife and kids battle to stuff their 9mm magazines really opened my eyes to the fact that not everyone spends their lives on the range. To make their lives easier and to keep me from shredding my thumbs loading all their magazines for them, I started researching mag loaders. The two most popular and highly regarded models I found were the HKS and Butler Creek UpLULA loaders. Both got great reviews on the Internet despite a pretty significant price difference, so I decided to order one of each for a side-by-side evaluation. The HKS GL-940 magazine loader is designed to load staggered-column 9mm and .40 S&W magazines. It is a simple plastic design into which a 9mm or .40 S&W magazine is inserted from the side. With the magazine inserted, the loader feels very similar to the grip of a pistol. To load the magazine, simply depress the loader's large thumb lever. The lever activates the lever arm that depresses the follower and allows the user to insert the next round. Once the round hits the lever arm, release pressure on the lever and push the round to the rear of the magazine, then repeat. It is a quick and easy process that HKS claims allows users to load 15 rounds of 9mm in 18 seconds. The HKS product is very affordable, with a suggested retail of just $14, and you can find it for a few bucks less if you look around. The UpLULA is the pistol version of the popular LULA loaders. Butler Creek claims its universal pistol loader loads all 9mm, .357, 10mm, .40 and .45 caliber magazines--including single-column mags. The fine print says it may not work with magazines that have less than 8mm clearance between the feed lips, and it may not load the last round in some magazines, but the instructors I asked about it say it works with most popular pistols, and even some .380s. The UpLULA's body is made from a rugged polymer with a hinged polymer press and a steel beak. To use it, insert the magazine into the body with the beak at the front of the mag, and then rest the magazine on a hard surface. Squeeze the press to force the beak against the follower while pushing the unit down onto the magazine, and then slide a round into the magazine, above the beak and below the feed lips. Once the round is seated, raise the UpLULA and open the press and then repeat the previous steps until the magazine is full. The UpLULA is fairly light. It retails for $33, with an average internet price of around $29. In my side-by-side test I wanted to evaluate speed and ease of use, so I simply loaded a variety of magazines from single-stack 1911s, a .40 S&W Glock and a Smith & Wesson M&P Pro 9mm. I spent a great deal of time loading multiple magazine types with both loaders and then had my daughter time me in loading the M&P. I chose the M&P magazine for the time trials because of its 17-round capacity, and I loaded the magazine five times with each loader and then took the average time. With the GL-940 I was able to consistently beat HKS' advertised time of 15 rounds in 18 seconds with very little effort. In fact, I consistently stuffed in all 15 rounds in 17 seconds, and I averaged just 19 seconds to load all 17 rounds in the brand new S&W magazine. The thumb lever made the process fast and effortless. I was not quite as fast with the UpLULA--loading 15 rounds in an average of 18 seconds and 17 rounds in 21 seconds. I attribute the difference in speed primarily to the fact that loading with the UpLULA requires a bit more movement than the HKS loader does. Still, the difference was minimal and not really worth considering if we're just talking about stuffing magazines at the range. Overall, I really like both loaders. I felt that the HKS loader was a bit easier to use at first, but once I got used to it, I came to prefer the UpLULA. I let three friends try both loaders, and they also preferred the UpLULA, although all said they would happily use either one. We all agreed that the HKS looks and feels more fragile than the Butler Creek loader, but that is not entirely unexpected given that the UpLULA costs more than twice as much as the HKS. I can assure you that either one will simplify your life. 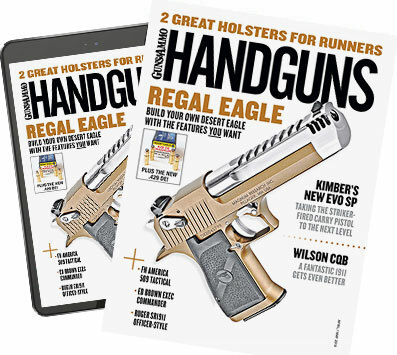 They've made loading magazines faster and easier for me, and they've been great for the kids, who previously could rarely get past the sixth or seventh round before passing the magazines back to me to top off. Now we can all spend more time shooting and less time loading magazines. That's a good thing.